Carrie interviews 3-time Olympian and fellow Villanova alum Jen Rhines! 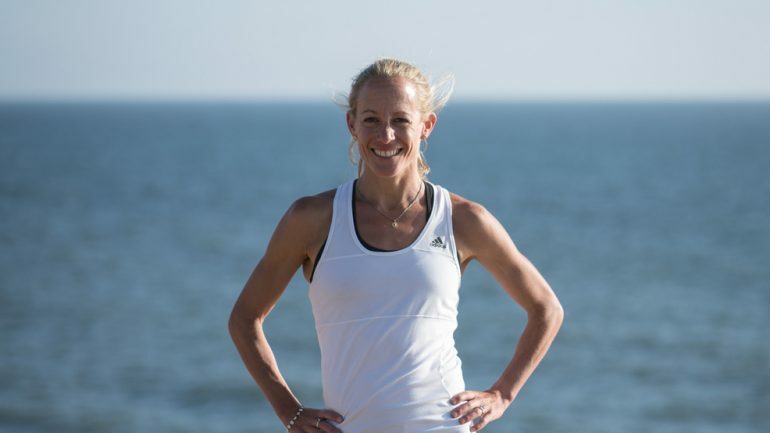 Jen discusses mental toughness, eating nourishing food and racing as a masters. Carrie and Jen also reminisce about their days of training and racing together. Jen attended Villanova University, where she was a five-time NCAA champion. Jen is a 5-time national champion and 11-time world champion team member. She competed in the 2000 Sydney Olympics (10000m), 2004 Athens Olympics (marathon) and 2008 Beijing Olympics (5000m). Jen has been tearing up the roads as a masters runner and holds US masters records in the 5000m (15:45) and 10000m (33:05). She is an Adidas athlete and ambassador. Jen is married to Terrence Mahon, and resides in San Diego, CA.